Safety switch installation is the greatest safety improvement for electrical systems that has been introduced in the last 20 years. Countless lives have been saved because of their use, but tragically not all electrical systems are adequately protected by them resulting in death and injury to unsuspecting people. The QLD government has run advertising campaigns recently highlighting the dangers of electrocution in ceiling spaces. We highly recommend safety switch installation on all lighting circuits as well as power point circuits. This provides a high level of protection from potential electric shock, and reduces the risk of significant injury or death resulting from contact with live wires or faulty electrical equipment. Always turn the power off regardless if you are entering the ceiling space. Our Brisbane electricians are available to install safety switches at your property now. 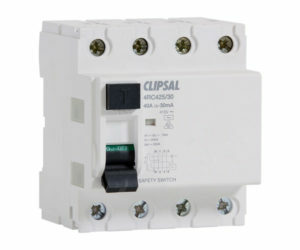 Contact us today to get a quote for your safety switch installation.